Ideal for offices, public spaces, clubs and restaurants. 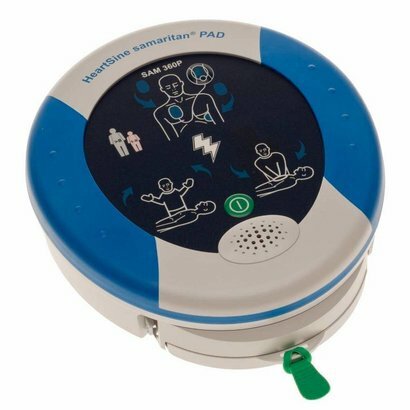 The Samaritan PAD 360P is a fully automatic AED, ie automatically delivered the shock without first even shock button has to be pressed. The Samaritan PAD 360P, suitable for any environment A warranty of eight years, a combined battery and electrodes, and very easy to use and maintain, the PAD 360P meets the highest quality standards. 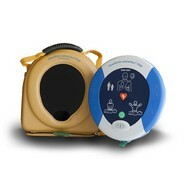 The AED has a very high waterproof and dustproof and is therefore even suitable for marine, swimming pools, saunas and other rooms with high humidity. 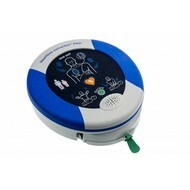 All the benefits of the Samaritan PAD 360P European product with eight-year warranty on the AED Most water and dust resistant AED on the market, IP56 Weighing only 1.1 KG easy to carry Fully compliant with the European Resuscitation Guidelines Available with children and battery electrodes Ascending energy (150J - 150J - 200J) Voice and visual instructions, for use in noisy environments Electrodes and batteries packaged together in a PadPak, a replacement date An automatic self-test takes place weekly A metronome gives the desired rhythm the CPR to Inexpensive and easy to use The electrodes and batteries for the Samaritan PAD packed together in a cassette, the Padpak. This is to slide with a simple operation into and from the AED. PadPak need to be replaced once every four years. This makes the Samaritan PAD is one of the best AEDs in use. The Samaritan PAD 360P comes standard with a robust carrying case.